Party Tweaker TSL Knights of the Old Republic II - The Sith Lords By ChaosRonin --------------------------------------------------- Overview --------------------------------------------------- This mod will do a few things: - Set all party members level to 1 when they join. 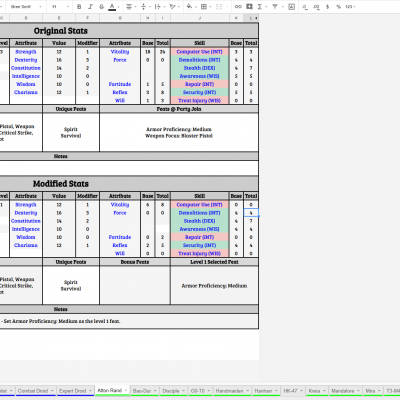 - Set skills using their class templates (Skill Point Per Lvl + INT)*4 to set initial skills using their original skill point placement as templates. - Fix any inconsistencies between Vitality/Force/Skill Points. - Set believable Level 1 feats with an aim towards build freedom for the player, hopefully no more redundant feats. 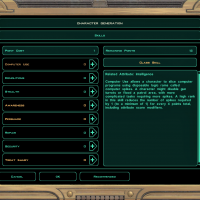 - Set believable extra feats or force powers if characters come with more feats or force powers than their class levels allows with the exception of unique feats. Overall this mod allows you to have more control on how to build each party member and have less redundant abilities. See Changelog for full list of changes. -------------------------------------------------- Installation -------------------------------------------------- Copy files to Override folder. If you are using another mod that uses the same files if the mod doesn't not use TSL Patcher then my mod is not compatible with it. Uninstall -------------------------------------------------- Delete the 12 following files from your Override Folder. If you are using mods that make use of the same files then replace it with the unaltered version in the Back Up Folder. - p_atton.utc - p_baodur.utc - p_disciple.utc - p_g0t0.utc - p_handmaiden.utc - p_hanharr.utc - p_hk47.utc - p_kreia.utc - p_mand.utc - p_mira.utc - p_t3m4.utc - p_visas.utc Permissions -------------------------------------------------- This mod can be uploaded or shared as long as I am credited. Please contact with any inquiries. Acknowledgements -------------------------------------------------- Fred Tetra for the KotOR Tool. Stoffe for the TSL Patcher. The Modding Community for enhancing my many plays of K1 & TSL & inspiring me to mod. JC2 for his Party Leveler TSL & TSL NPC Stat Fixes 1.1 by Mellowtron11, as they gave me the inspiration for the work I did here. All who made TSLRCM & M4-78 EP possible. 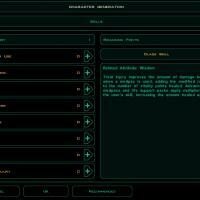 Strategy Wiki’s KOTOR2 Guide for the class templates and party stats at time of joining. Legal --------------------------------------------------- Star Wars, Star Wars Knights of the Old Republic & Star Wars Knights of the Old Republic II - The Sith Lords & all other associated material are the intellectual property of their respective legal owners & creators. This mod is not legally endorsed by any party. This is a very simple mod that changes the skill and feat progression to be more like Pathfinder than D&D3.5. 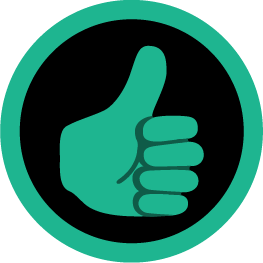 The big difference in Pathfinder is that all classes get a feat every other level by default. Also, one can always buy skills up to one's level with one point per skill level regardless of class. This gives you much more flexibility regarding character creation, though you are unfortunately still heavily limited by your class+int modifier (poor Fighters). What I've done is give all combat classes one feat per level, as the Fighter. All others receive one every other level. 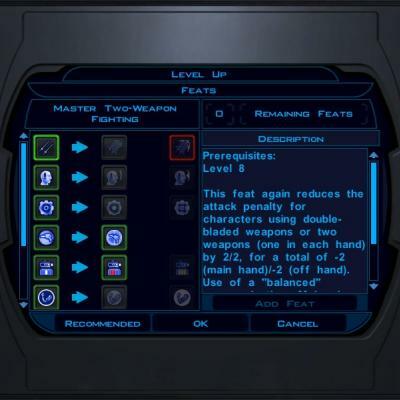 All skills are now class skills for every class, with obvious exceptions like Treat Injury for droids.